We've just introduced the Glimmerwood Mystery Box which introduces 38 new microtransactions from the woodland realm, each imbued with a curious kind of magic. Each Mystery Box costs 30 points and guarantees one microtransaction with value equal to or greater than that of the box. 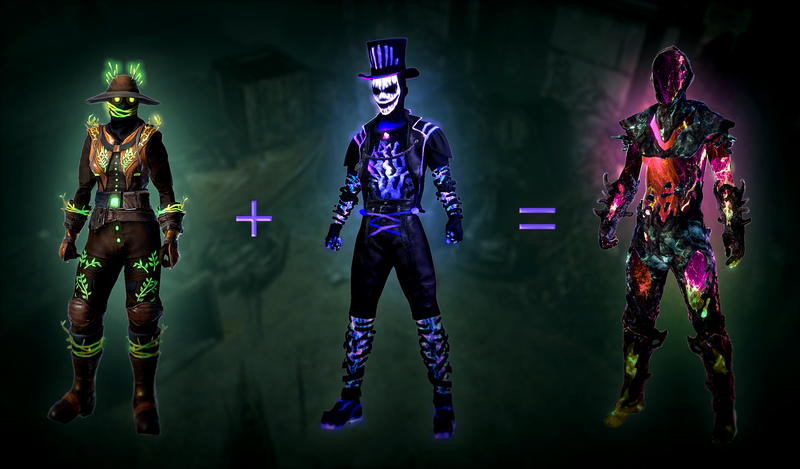 Many of the Mystery Box cosmetics can be combined to create a blended version of the two designs for even deeper character customisation. The possible outcomes from your mystery box range in value from 30 points all the way up to 320 points! The average reward is worth 110 points, which is more than three times the cost of the box. Check out the full trailer to see what's available! Below we've listed some handy information, including the rarity of each microtransaction and the price it will be available for in the store. Every microtransaction in this mystery box will be available in the store roughly one month after the Synthesis League ends. What's in the Glimmerwood Mystery Box? Many of the microtransactions in this Mystery Box can be combined. For example, if you receive both the Huntsman and Madcap Body Armours from their respective armour sets, you can combine these to receive the blended Transcendence Body Armour. To combine your microtransactions, press "M" to visit microtransaction stash, find the item you want to combine and click the small gold symbol in the top right of the icon. This will take you to the combining screen shown below. Please note that this is a permanent process and they cannot be separated once combined. If the microtransaction you're looking at doesn't have the gold symbol this means you either need to acquire the other half of the pair or it's not possible to combine it with another microtransaction. The microtransactions that can be combined are the Armour Set Pieces, Cloaks, Wings, Portals, Hoods, Weapon Skins and Footprints. These microtransactions will also be available in the store approximately one month after the Synthesis League ends. You'll still be able to get them by combining Huntsman and Madcap microtransactions or through direct purchase. Their purchase price will be twice the original microtransaction. For example, the blended Transcendence Footprints will cost 160 points which is the equivalent of purchasing the individual Huntsman and Madcap Footprints for 80 points each. Check out this ensemble using most of the blended microtransactions below! 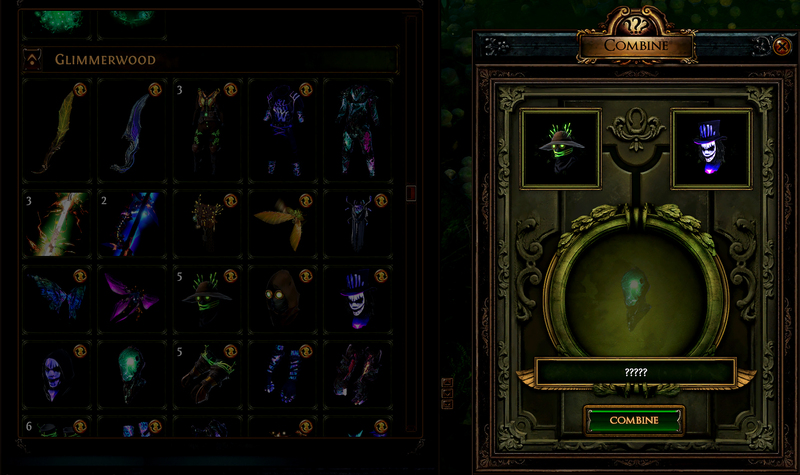 After purchasing some Glimmerwood Mystery Boxes, you can find them in the Consumable section of the microtransaction stash in-game waiting to be unwrapped. Note that these Mystery Boxes have random outcomes. Some items are rarer than others (as listed above). You are guaranteed to get an item that is worth at least what you paid for it (30 points) and it's statistically more likely that you'll receive something of higher value. Outside of microtransaction value, there are no guaranteed outcomes. Duplicate items are possible. Many thanks to everyone who has purchased a Mystery Box at any point in time. 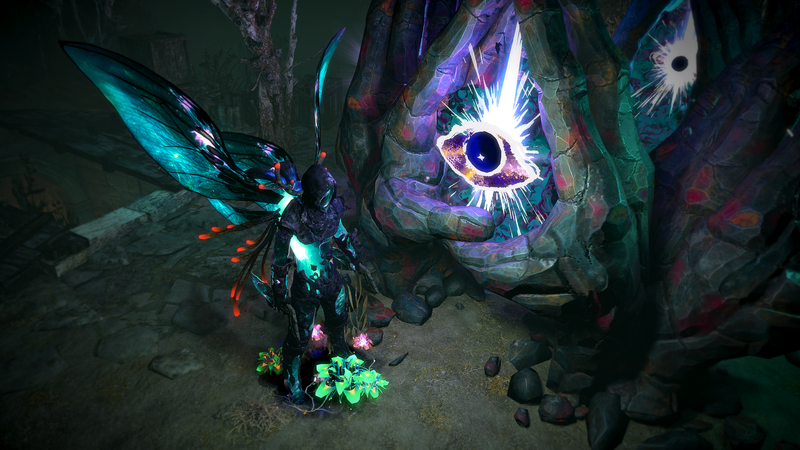 They've become a huge driving force in our ability to continue to create frequent updates like Path of Exile: Synthesis! Thank you so much for your continued support.